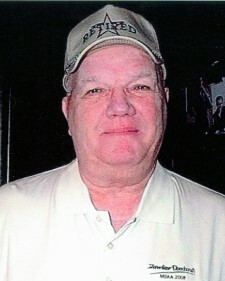 Bill has been a dedicated member of Tri Valley Vending’s League for the past 17 years. In 1995, he and his team “USETA COULD” played in the league... every member of his team was 65 years of age or older. He has been his teams Captain for 13 years, League Officer for 4 years and Top Team Shooter for 6 years. Bill has also placed well several times at the VNEA International Championships in Las Vegas. Bill has always been a huge asset to Tri Valley Vending assisting the league in several ways from helping obtain players to serving on numerous Tournament Committees. VNEA QUOTE: I am truly honored to be in the Hall of Fame and would like to thank Tri Valley Vending, Valley and the VNEA for making the annual International Championships possible. competition at the Idaho State Championships. after finishing runner-up in the same division in 2009.
level and make many new friends. 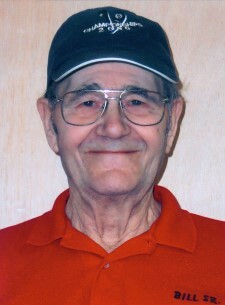 Roger has been a VNEA Member in Idaho since 1986 and has participated in every Idaho State Tournament during that time. As a long-time Captain of his men’s team, he has racked up numerous top finishes in Team, Singles and Scotch Doubles competition at the Idaho State Championships. Roger’s team has also experienced great finishes at the International Championships on several occasions. 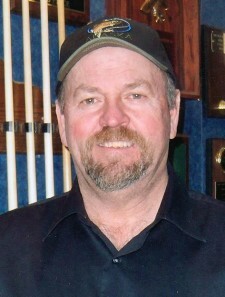 Roger struck gold at the 2010 Vegas event and took home the “Charlie” for the 8-Ball Men’s Classic Division title after finishing runner-up in the same division in 2009. VNEA QUOTE: It is always a privilege to play in the VNEA, both locally and at the International venue. The VNEA has given me the opportunity to compete on an International level and make many new friends. Barb was the Captain of an incredibly talented ladies team between the years of 1992 and 1996. This team earned numerous Canadian and International titles. During this great run, Barb also captured 3rd in the Women’s Open Singles competition in Las Vegas. 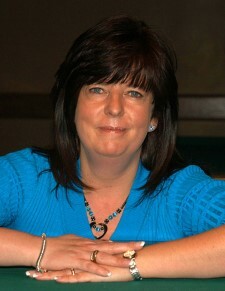 Barb is currently the League Coordinator for SML Pool Leagues. She wanted to take an active role in the organizational side of the sport and has learned that running a league is much more than scheduling matches and entering stats. She found that VNEA Leagues are about giving people an opportunity to socialize with friends, meet new people and achieve their dreams. VNEA QUOTE: The excitement and anticipation of attending VNEA “Vegas” is awesome. Being involved with the VNEA, whether as a competitor or league coordinator, has always made me feel like I am part of an “extended” family and I always look forward to seeing everyone in Vegas. As a retired Chief of Police, Donavon looks for ways to give back to his community. He gets local kids involved in pool, teaching them pool skills, the rules and sportsmanship. He also started a program in conjunction with the school, to allow handicapped kids to learn how to play the great sport of pool. Donavon is the Captain of his two teams and is always promoting pool, the VNEA and new, pool related products. Teaching pool is his passion. 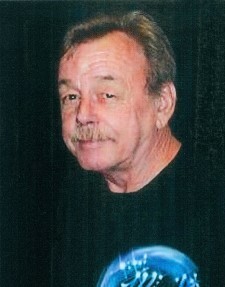 Donavon has had many accomplishments at the local and state levels including a 30-Zip in the 1992-93 pool league season. He has also played well at the International Championships which he has attended nearly every year since the early 80’s. VNEA QUOTE: The Norberg family from C & N Sales has always ran a quality business and super tournaments. Also, Valley pool tables are the best known, toughest and in the biggest demand for leagues. Mick has been a dedicated member of his pool league for years. As a matter fact, he has never missed a single league night in 22 years. Now that’s dedication! He has always helped recruit new players and taught them the rules and sportsmanship. Mick’s team always participates in the Colorado State Tournament and has also been to every VNEA International Championships since they’ve been held in Las Vegas. His wife, son and daughter all play in VNEA Leagues and they use the Vegas trip as a kind of family vacation every year. Mick has also played well at the “Big Show” by finishing in the money in 8-Ball, 9-Ball and the Team event in the same year. VNEA QUOTE: VNEA is far and away the best pool league in the world. BMW are the greatest people to work with and are always there to help with any issues that may arise.